Production Turn Around & Delivery Is Currently: 3-5 Weeks from purchase. We accept Visa and Mastercard credit and debit cards and we also accept bank transfers. You will automatically receive confirmation of your order by email. We will contact you within 2 working days to confirm your order on the telephone number you submit on the order form. Your order will now be hand-crafted by our team of upholstery specialists. Once completed we will contact you and arrange a delivery date. 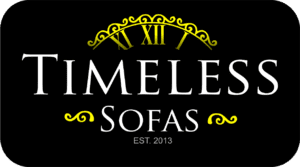 2-3 days before delivery we will call you with a reminder for your delivery and email you pictures of your actual sofa to make sure your happy with how it looks before we wrap it, ready for delivery. Finally, please check your furniture carefully and sign the delivery note. **All our Accessories have a delivery cost unless purchased with a sofa, chair or stool. We can ship orders outside of the United Kingdom but there will be a delivery charge. Please contact us before purchasing an order for a shipping/delivery quote. If you are unhappy with one of our clearence stock items listed on the clearence page we will eithr offer you credit off another purchase or exchage for some thing of equil value. If you have ordered through our web store or over the phone and your furniture has been made bespoke to order. because each peice is hand made to each customer specific sizes and specifications we currently dont offer a full refund and are not legally required to give one at all. You will have to cover the cost of the return and then we can only offer a 50% refund or Credit Note For 50% off another item of furniture. By completing the purchase of your furniture you are agreeing to the above conditions.